Is this a bee at all, is it just an albino Apis mellifera? It is roughly the same size as regular honey bees, and was pollinating lavenders along with many of the latter. There was a couple of these white ones. Here is a photo I took. Sorry for the bad quality. The bees were seen (and the photo taken) on December 11 (late Spring), at about 1 pm in the eastern border of Santiago, Chile (South America), at the foothills of the Andes, at about 950$\,$m of altitude. I'm aware that it is possible that the information I provide is not enough to identify the insect. If so, any advise on how to get more meaningful information will be appreciated. Browse other questions tagged species-identification entomology or ask your own question. What species of butterfly is this? 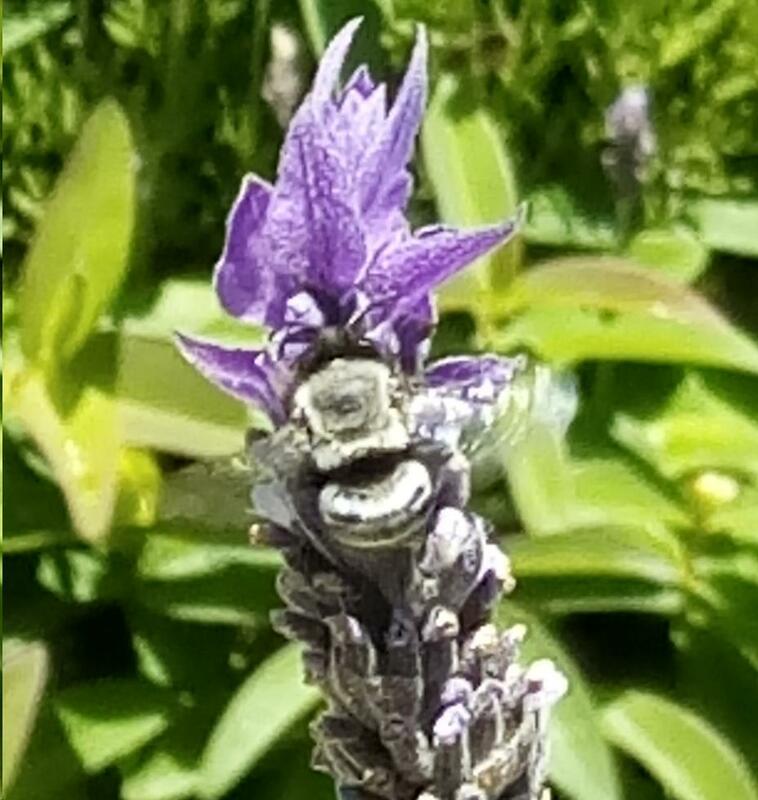 Can you identify this bee? What is this bee/wasp nest? What type of bee/wasp is this? What type of insect or bee is this?